When Piglet was little I often wore him in a carrier when we were out an about. It was really useful if we wanted to go somewhere that wasn’t easy to access with a pram, or if I wanted to keep my hands free though. Overall though, I don’t really think I used them to their full potential. Enter baby number 2. Suddenly I didn’t have enough hands. If JJ was wanting held and Piglet wanted to play I wasn’t sure how to juggle it all. I found myself reaching for a carrier so that I can keep JJ close and still give Piglet the attention he needs. For me, the trick is to find the right carrier. Everyone’s body is shaped differently so you have to find the baby carrier that suits you. 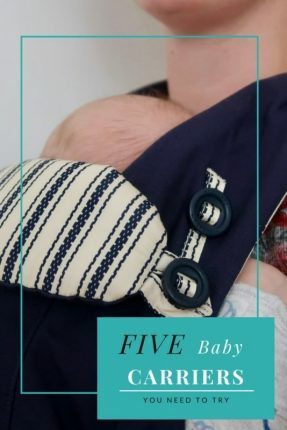 Below are just 5 of the carriers I have tried and loved (and I have tried a lot!) and I think you should try too. 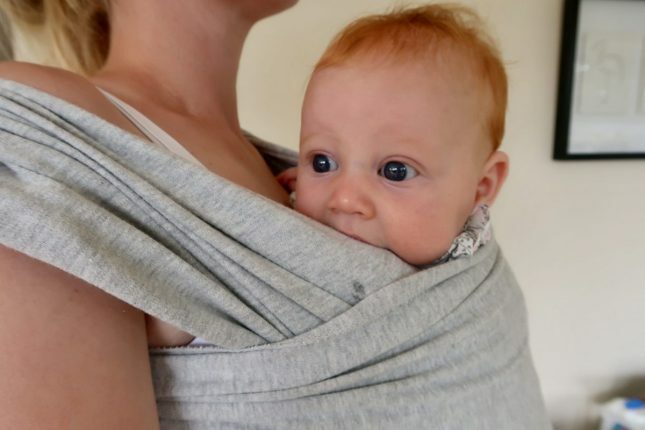 The Caboo is a super comfortable ring sling. I bought this one when Piglet was a newborn and it has had plenty of use. It is a great introduction to a stretchy wrap style, but a lot of the hard work is done for you. It is really comfortable to wear and perfect for teeny newborns to snuggle in to. As they get older you can slip their head out so they can nosey about a bit more. There are a small number of different carrying styles that can be used, but the main one is front parent facing. You’ll notice I haven’t specified a brand here, and that’s because there are so many to choose from. 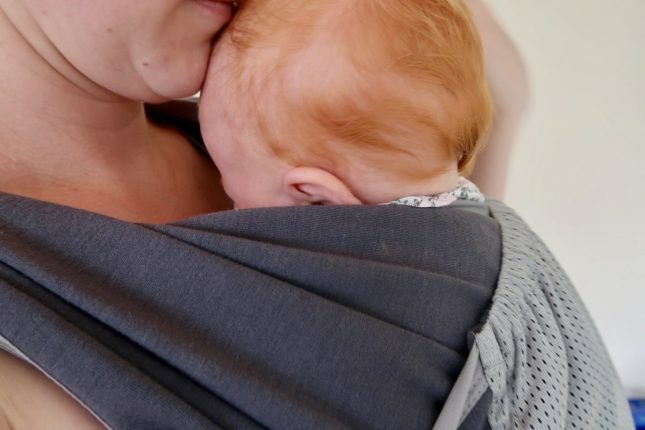 I got my wrap in my Scottish Baby Box, and have really enjoyed using it. The most basic carrying position is the same as the one I was used to with the Caboo, so I was quite comfortable getting started with it after I had been shown once. Stretchy wraps have the benefit of being able to be tailored to your body. 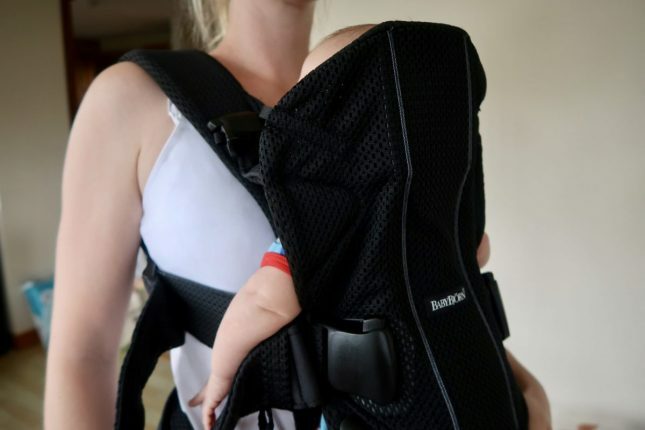 There are no straps to fit and tighten, you simply put it on as tight as you need and pop baby in to be held close to your body. The Ama wrap, Boba wrap and Moby wrap are all well documented as being good quality, long lasting wraps. If I ever need to replace my one then I will most likely be choosing one of those. It does exactly what is says on the box, the Chicco Easyfit is really to get on and off yourself. I was able to use it straight out of the box and get it on with barely a glance at the instructions to make sure it was right. It is suitable from birth with extra head and neck support when required (perfect for JJ as he’s still working on strengthening his neck!>, and can be used up to a maximum weight of 9kg. 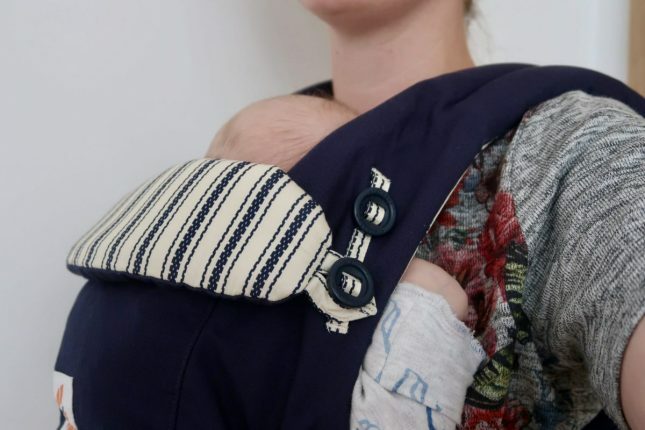 I have only ever worn a baby parent facing before, but the Easyfit allows forward facing which I know JJ will love once he’s a bit bigger as he’s quite nosey. Babybjorn are well known for having great baby carriers, and the One Air is fantastic for the warm weather we’ve been having. It is made of a 3D breathable mesh which stops it from being super hot and clammy while you wear it. It is suitable from birth up to around 3 years old, with no additional insert needed for the newborn days as it is built in to the carrier. It is suitable for front or back carrying, plus forward facing if your baby fancies a look around. 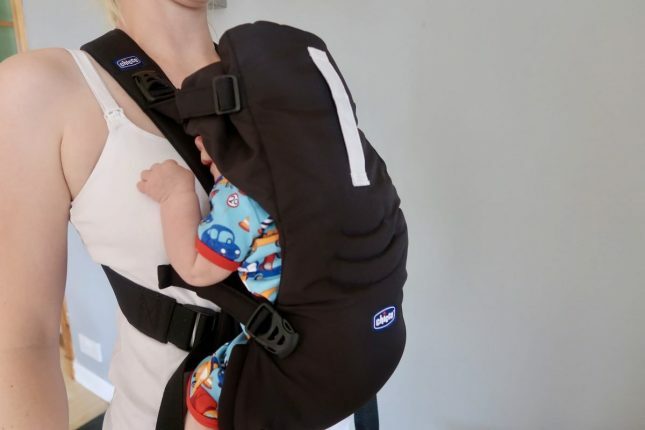 As much as I love the One Air, I have found that my body is just a little bit too short to carry JJ in it as I struggle to get the straps tight enough (I am 5ft 3in). However JHogg can carry him comfortably and it’s great to have a carrier that he is happy to use. At the moment, the Ergobaby Adapt is my carrier of choice. It is suitable from 7lbs up to 45lbs so we have years of use ahead of us. It can be used for front, back or hip carrying. JJ is happy to snooze in it and he feels safe and secure. Plus it’s machine washable – always a plus! What is your favourite baby carrier? I am always on the look out for new ones to try so let me know in the comments. Please note – I was sent the Chicco, Babybjorn and Ergobaby carriers to try. All words and opinions are my own.